There are literally hundreds of sites online offering basic and professional website tools, enabling everyday people to create websites that look the part, but are they really any good? Will these simple step by step tools knock bespoke web design out of the market? We don’t believe so, but we do realise it is a good platform to create cheap decent looking site, for those with little or no budget. In recent news another one of these “build your own” companies has provided a tool purely aimed at website designers. Breezi has recently created a system aimed at designers and creatives, which will make the process of creating a website a lot easier and fun to work with. Sites can be up and running in a jiffy, but include much more professional tools, widgets and plug-ins. Breezi prides itself in being different to similar companies which provide a “build your own” platform, concentrating on the visual elements and offering grid based wire frames. It also offers more refined tools, allowing designers to create sites without the use of coding. 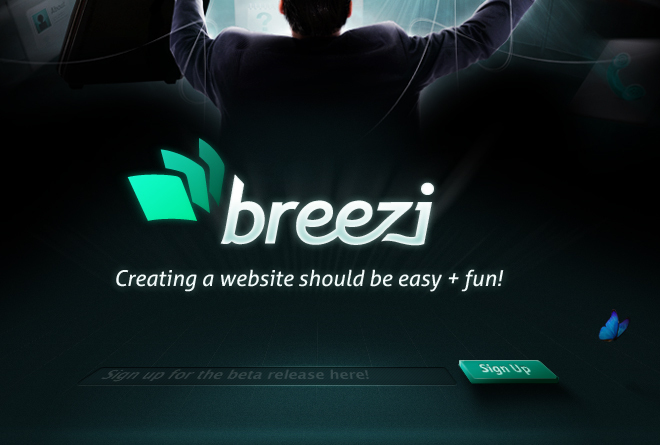 Changing a template is not really web design, so Breezi allows creatives to have total control of their system. As a new programme, Breezi wants to hear feedback from designers who use the interface to create incredible designs. Although, as we’ve mentioned, these types of companies are great to get sites up and running quickly, with little effort, it doesn’t ever mean that these systems will replace bespoke websites. In fact, we wonder if because they are offering similar templates and structures to thousands of users, they stand the test of time in terms of SEO. Again, these sites are great for small companies, sole traders and freelancers who don’t have the funding to have bespoke websites created for them. In the mean time, for those who do have the budget, is is always advisable to have a site produced that represents the brand and ethos of your company.